The third edition of the festival 'Désert Numérique' celebrates the beginning of summer with a peculiar and reckless programme from June 29th till July 1st, in Saint-Nazaire-le-Désert (South of France). 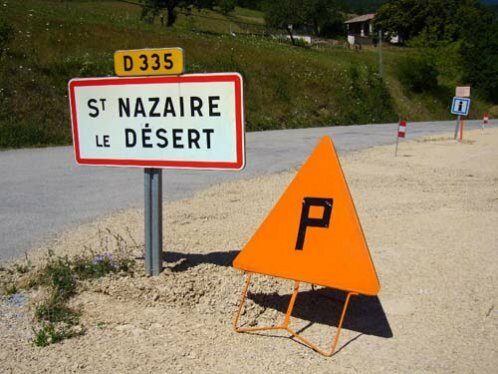 In this phase of transition to the 'all digital', 'Désert Numérique' takes place amid a mountain region that has only quite late been connected to digital networks, and from where it takes an hour drive to get to the closest cinema. This year's festival is an invitation to explore digital culture from the point of you of its technical and artistic history. It takes us from cinema, video and magnetic tapes, to the appropriation of transmission channels, amateur and pirate radios, misusage and collectiveness etc. These are all various practices that inhabit the digital, and can be seen as tools for interpretation of the world we live in to be re-actived. One of the key aims of this festival edition is to remind us of the instability and rapid obsolescence of media and bring out what is lasting, emphasizing connecting and breaking points between practices.